who love games, love bikes and love Sacramento. Bike Route is a Board Game that you play with your friends. In the game players build bike routes around the city winning community rewards. The first player to 7 points wins. The game is filled with art and locations that you will recognize and fill you with joy as you build bike routes to connect different places together. The game includes exquisite paintings of local landmarks and locations both past, present and future. This is not the Sacramento of today but a Sacramento of the imagination, with ideas that excite the spirit, from the historical past to the hopeful future. Bike Route includes everything from the majestic Alhambra movie palace to the soon to be completed Powerhouse Science Center on the river. All the wonderful things that you think about when you imagine Sacramento are included. Come play in the Sacramento that never was but will always exist in our hearts. 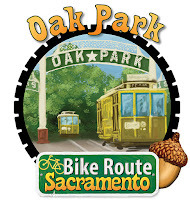 Bike Route has a long history and has been in development for over 10 years. Originally called Connections the game was never published and looked like it would end up on the pile of great ideas that never were. My daughter AR kept it alive by insisting that we play. "Papa lets play Connections" she would say and we would play. Despite the weak art the game was good and we kept enjoying the drama of the game. Eventually we decided that it should be brought back with new artwork and Bike Route was born. Connections was at heart a game about building connections between places and it seemed a perfect fit for a game about building bike routes. The idea took off and it has kept going ever since. I was play-testing Bike Route at the main library with a local family and the boy across from me said "We live here..." and pointed at the map. "and I have been to the Zoo." he continued, indicating Land Park at the bottom of the board. Watching him I realized that a lot of kids know places in Sacramento but their mental map doesn't really connect them together. It was great to see the gears turning in his head as he saw all the places in town fit. He also knew DOCO and Old Town and quite a few other places. This was moment of affirmation; I realized that Bike Route could also bring back that great sense of place that is getting lost. Google guides us from place to place without any context or sense of relationship. Yes you can turn left and turn right but where are you? I travel a lot for work and I am always happy to come home. Ususally I go to a town that is excited about what they are doing but in Sac we have it in spades. It seems that every week brings something new to our doorstep. Mabye a brand new artist or shome classy hippy selling tea. We have to recognize this exciting moment we are living in and celebrate it. Bike Route puts this fantasitc idea down on paper and freezes this instant so we can stop and savor what we have. Take a break from the hustle and bustle and enjoy a great game with family and friends. Recognize how lucky we are and enjoy it. 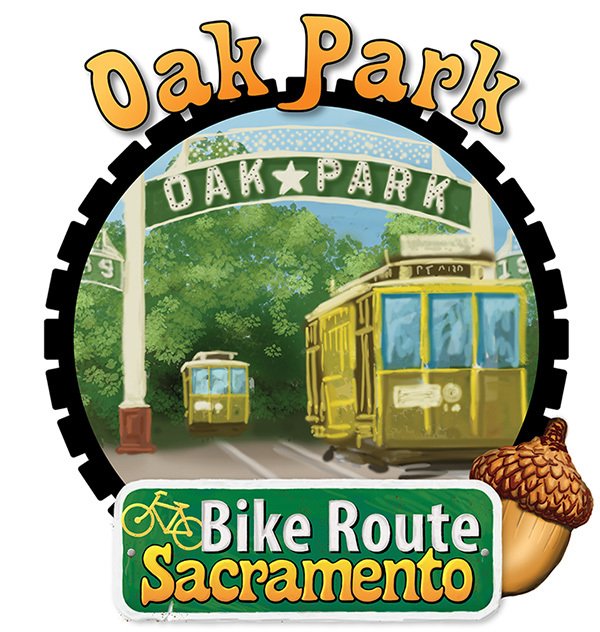 Bike route is for people who love bikes, love games and love Sacramento.